Their behavior is different than other entities in a specified population. The latter method of detecting outliers is known as population analysis. 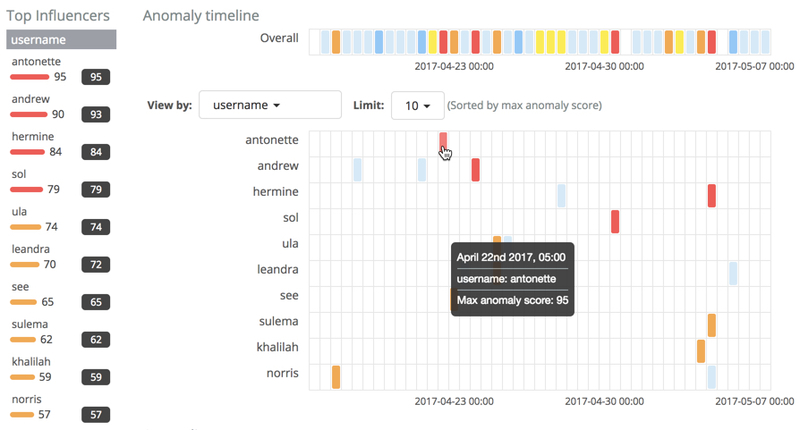 The machine learning analytics build a profile of what a "typical" user, machine, or other entity does over a specified time period and then identify when one is behaving abnormally compared to the population. This type of analysis is most useful when the behavior of the population as a whole is mostly homogeneous and you want to identify outliers. In general, population analysis is not useful when members of the population inherently have vastly different behavior. You can, however, segment your data into groups that behave similarly and run these as separate jobs. For example, you can use a query filter in the datafeed to segment your data or you can use the partition_field_name to split the analysis for the different groups. Population analysis scales well and has a lower resource footprint than individual analysis of each series. For example, you can analyze populations of hundreds of thousands or millions of entities. 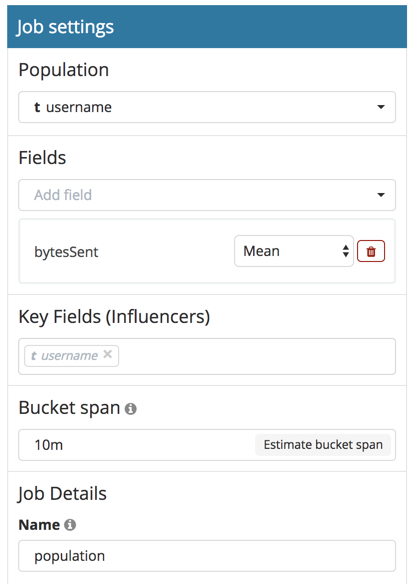 This over_field_name property indicates that the metrics for each user ( as identified by their username value) are analyzed relative to other users in each bucket. As in this case, the results are often quite sparse. There might be just a few data points for the selected time period. Population analysis is particularly useful when you have many entities and the data for specific entitles is sporadic or sparse. 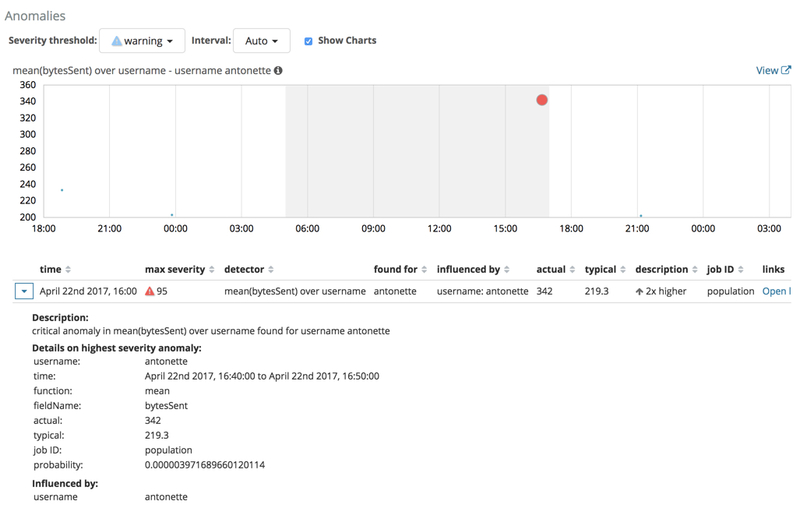 In this example, the user identified as antonette sent a high volume of bytes on the date and time shown. This event is anomalous because the mean is two times higher than the expected behavior of the population.